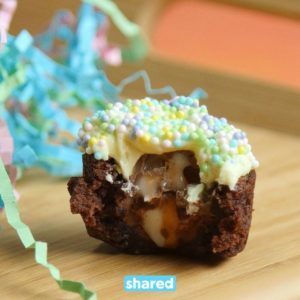 These Easter Brownie Bites Have a Cream Egg Center You Don't Need to Hunt For! The time has come and Cadbury Creme eggs will be here only for a short while. So buy as many as possible and try to think of all the ways you can bake with them! 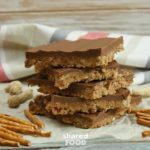 This recipe is a sure winner to get you going! 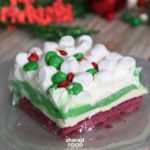 A simple brownie is a perfect canvas to add your favorite toppings to, but why not try stuffing them!? Chocolatey and chewy one bite brownies + addictive Cadbury Creme eggs, equals the treat that will have you counting the days until next Easter! Mix the box brownie mix according to the package directions. Spray a mini muffin tin with nonstick spray. 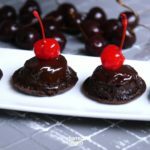 Fill each tin with 1 teaspoon brownie batter. Bake at 350F degrees for 11 minutes. Remove from the oven and let cool 2 minutes. Press an unwrapped creme egg into the center of each brownie bite. Let cool another 2 minutes. Place on a wire rack and let cool completely. Mix the softened butter on medium speed with an electric or stand mixer. Beat for about 3 minutes until smooth and creamy. Frost cooled brownie bites and sprinkle sugar sprinkles on top.